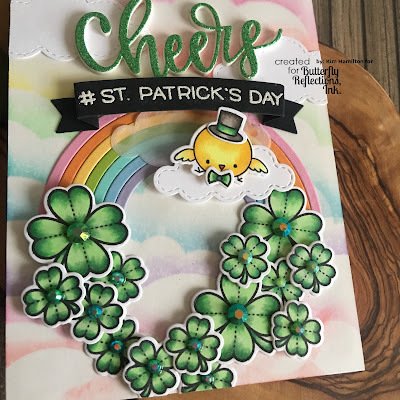 Paper Pawz: Happy St-Patrick's Day! 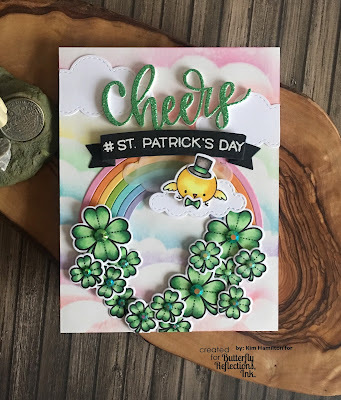 Happy St-Patrick's Day, my favorite day of the year! I am Irish on my Mom's side and St-Patrick's Day is the one day of the year that no one can ruin my mood, lol! 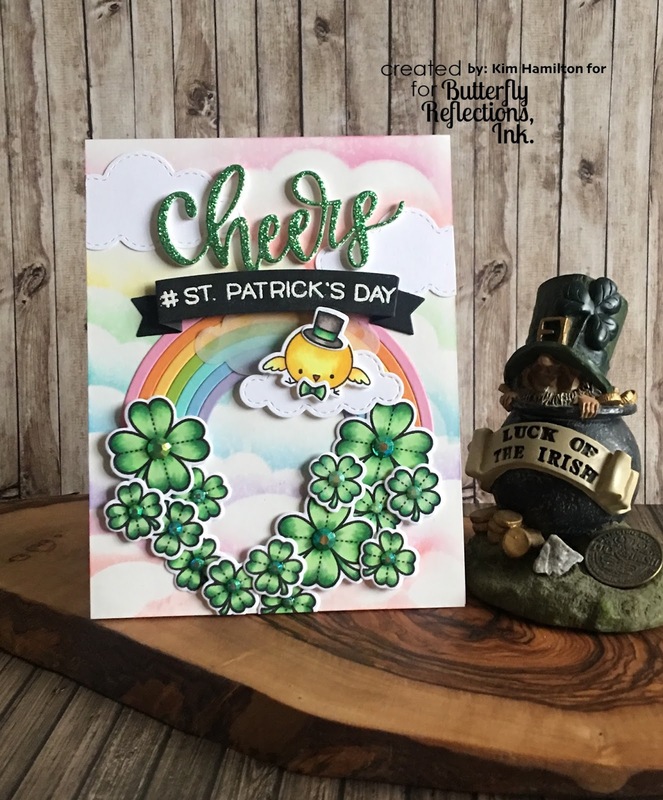 My project today features all Lawn Fawn and My Favorite Things products and all of these products are available at Butterfly Reflections Ink. I figured shamrocks and a rainbow would be appropriate for my project today. 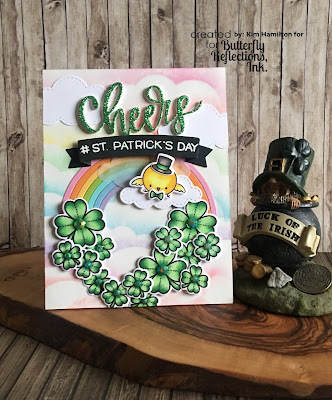 I started with my MFT Cloud Stencil (this is my favorite stencil) with a variety of Distress Oxide Inks on my background panel. I then die cut my Lawn Fawn Rainbow from multiple Lawn Fawn and MFT card stocks and glued it on the panel. Wishing you all a great St-Paddy's Day :) thanks for taking the time and if any of these products are backordered simply select the notify me option, Vanessa re-stocks super fast!